Curious video showing the traffic gridlock in Guangdong ahead of Lunar New Year. It is traditionally celebrated in early February. 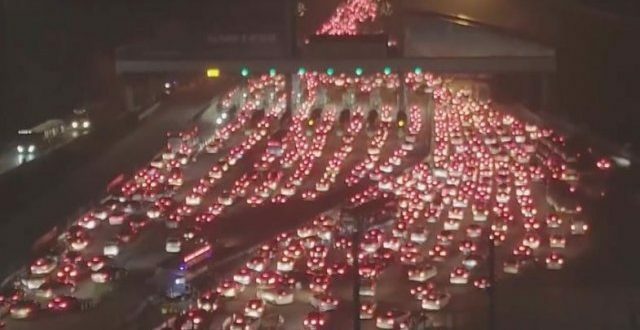 On the video below you can see the traffic gridlock in the Chinese province of Guangdong on the eve of Lunar New Year. According to official data, over 110 million people live here. In addition to the locals, a huge number of tourists have arrived, and according to the Xinhua agency, they are about 415 million. All this shows why China is also the largest car market on the planet. In 2018, 27.5 million new cars were sold in the country, with a decline for the first time since the 1990s. The most popular manufacturers in the country are Volkswagen – 3 172 080 sales, Honda – 1 452 451 and Geely – 1 385 185.